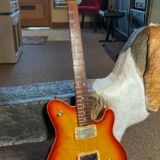 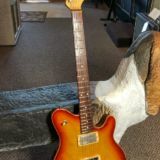 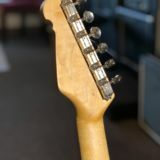 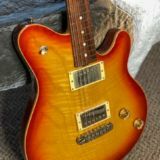 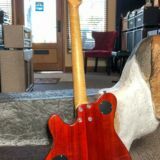 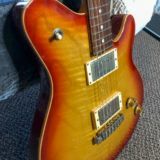 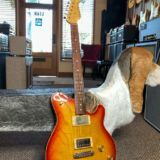 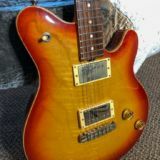 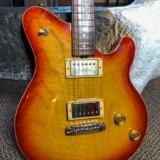 Categories: General, Electric, Guitars, JUST IN, Just In, Michael Tuttle, Pre Owned, Pre Owned. 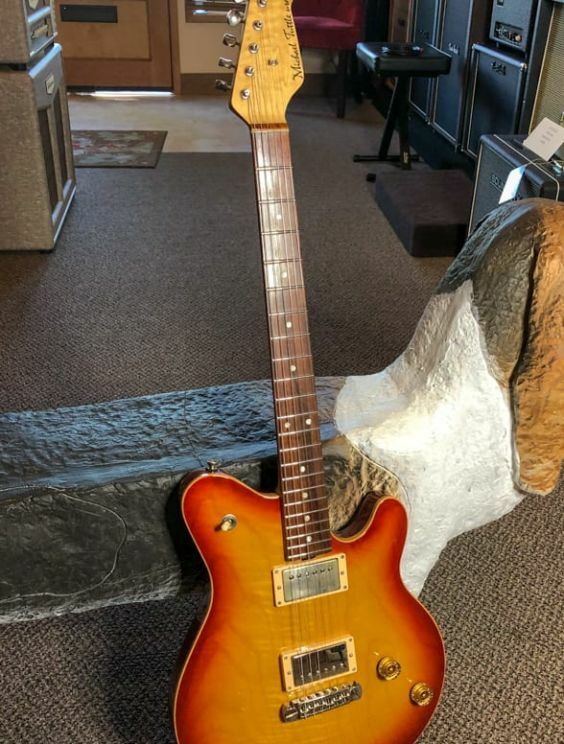 These one are getting hard to find! 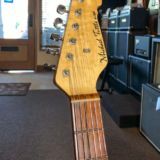 Superb sounding! 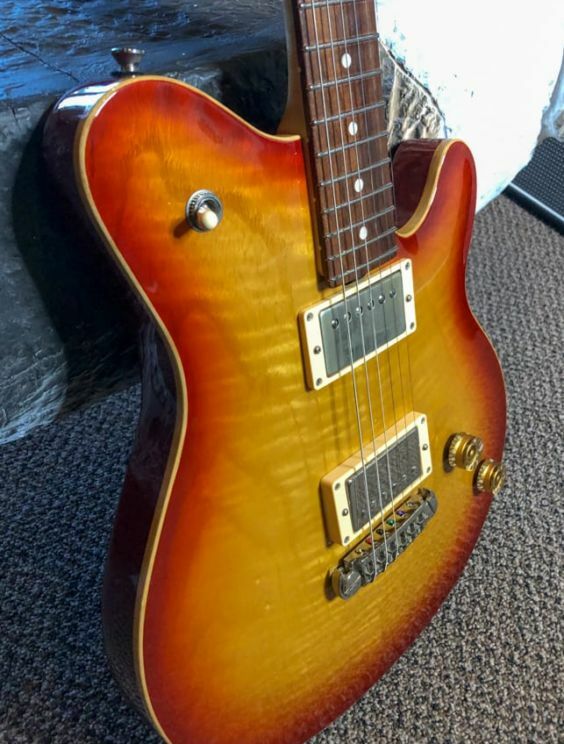 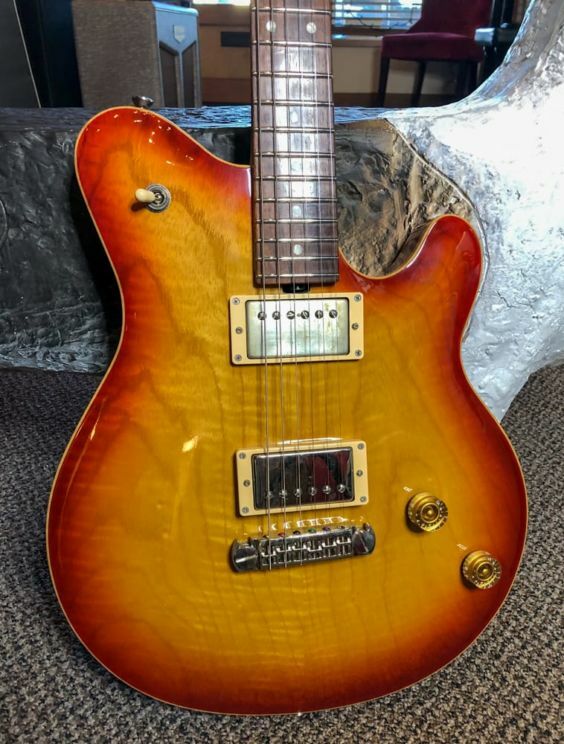 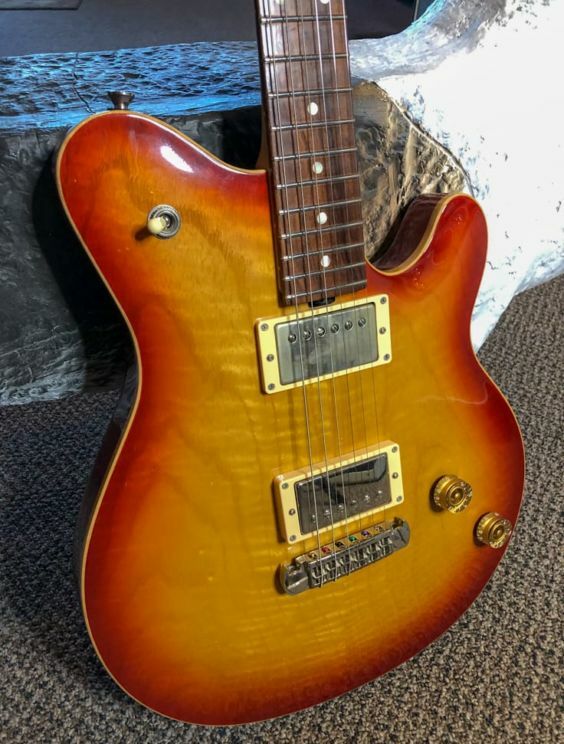 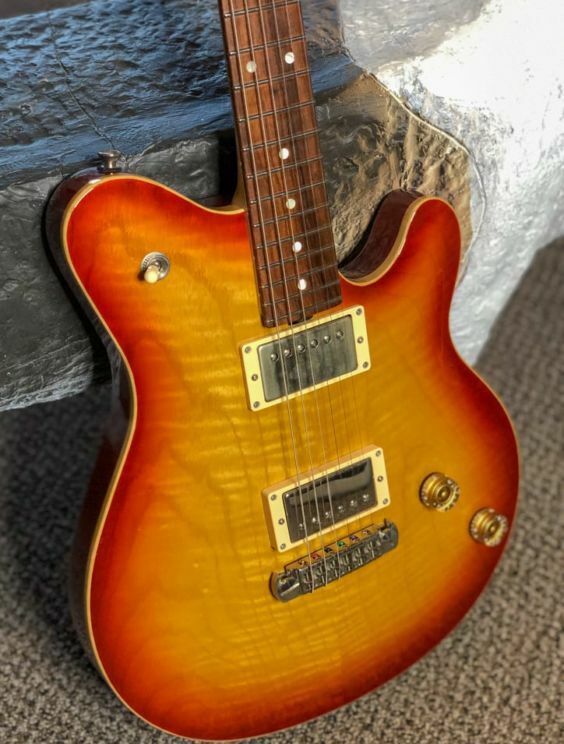 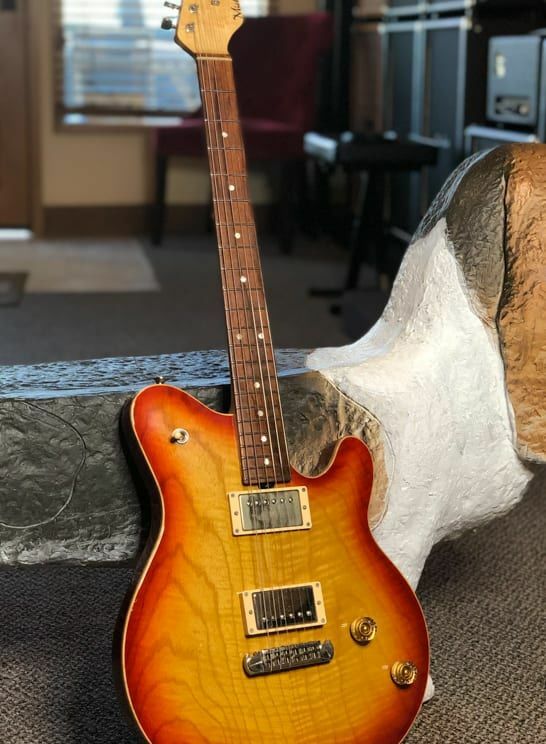 Nice Cherry burst top! 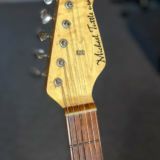 Bolt-on neck -vs- set neck comparison for this guitar. 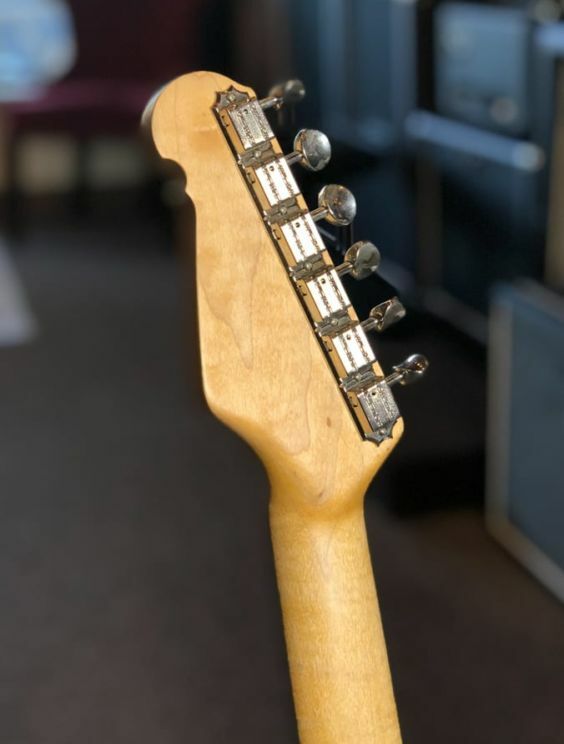 This is one of those times when a direct comparison can be made and for me the result is very clear. 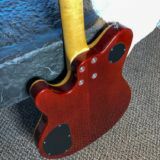 Compared to its successor, this carve top guitar has that certain “cut and twang” that comes from the division of neck wood from body wood. 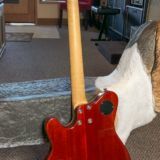 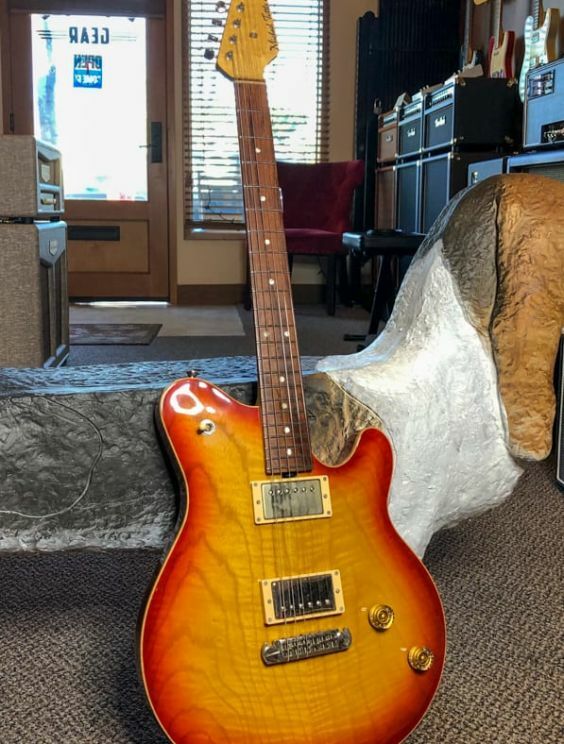 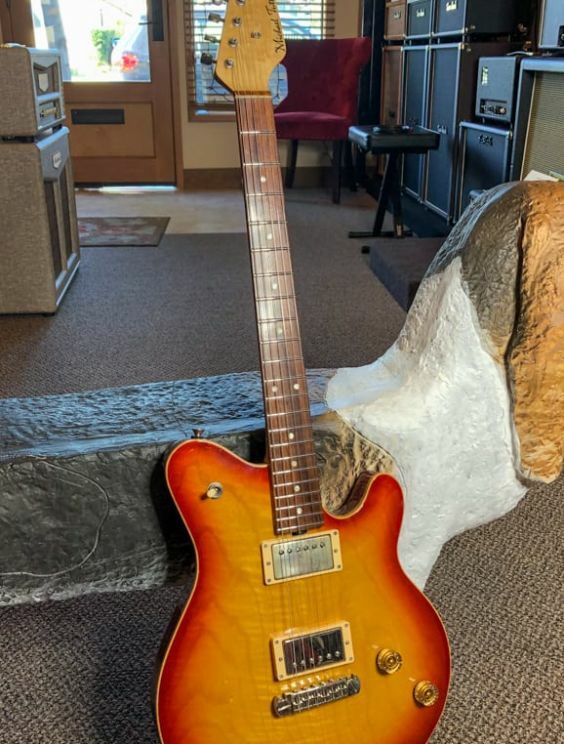 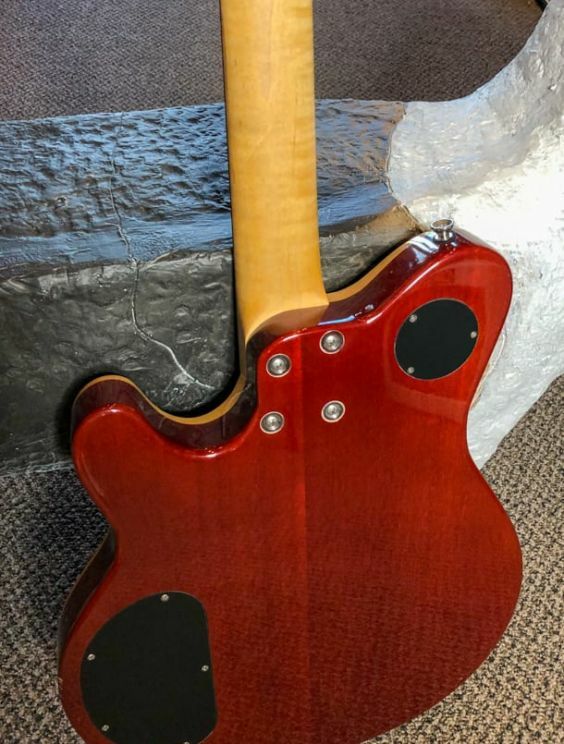 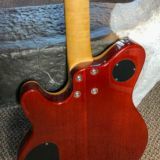 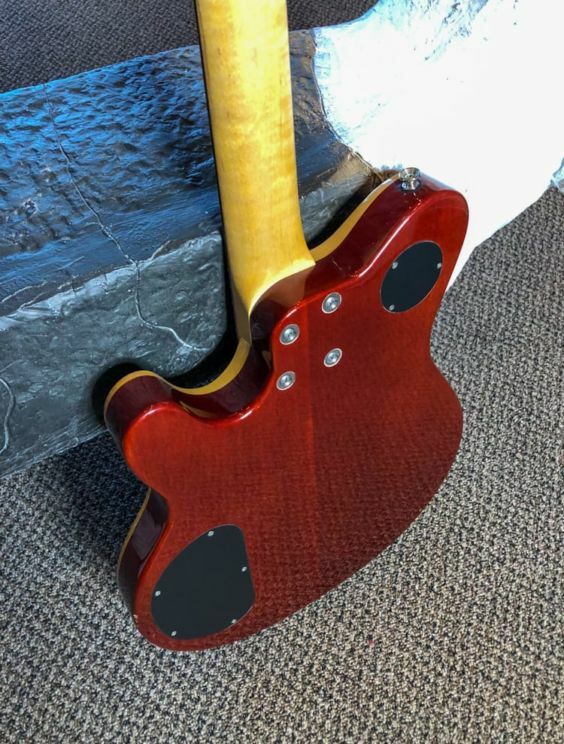 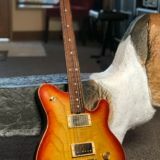 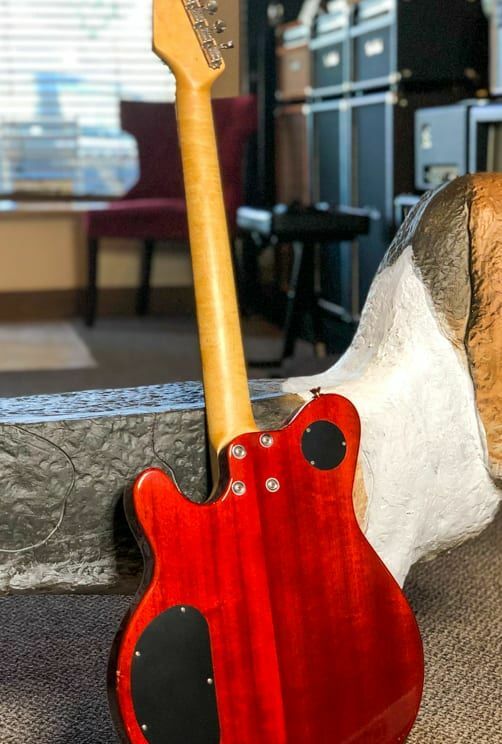 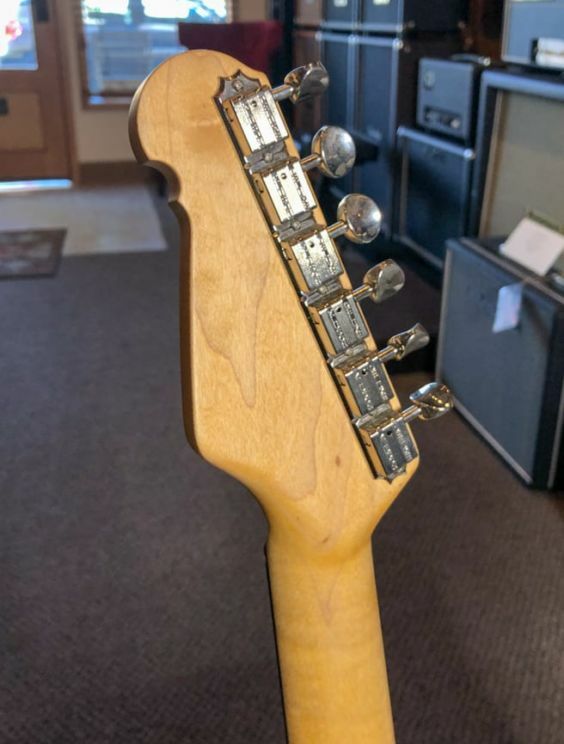 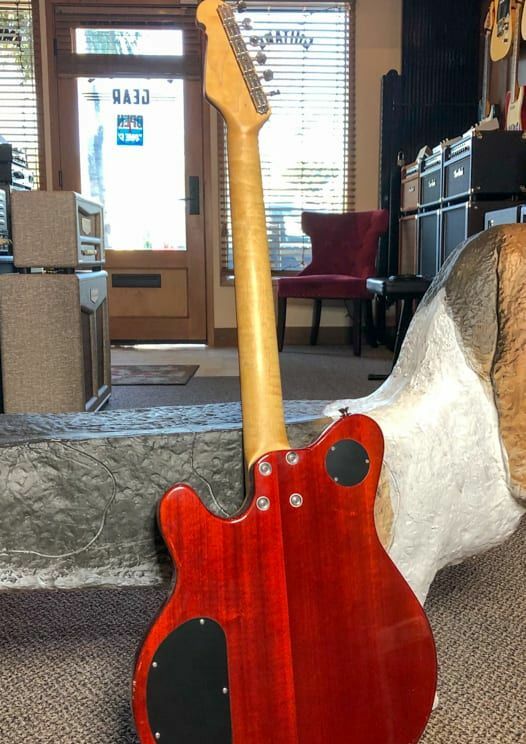 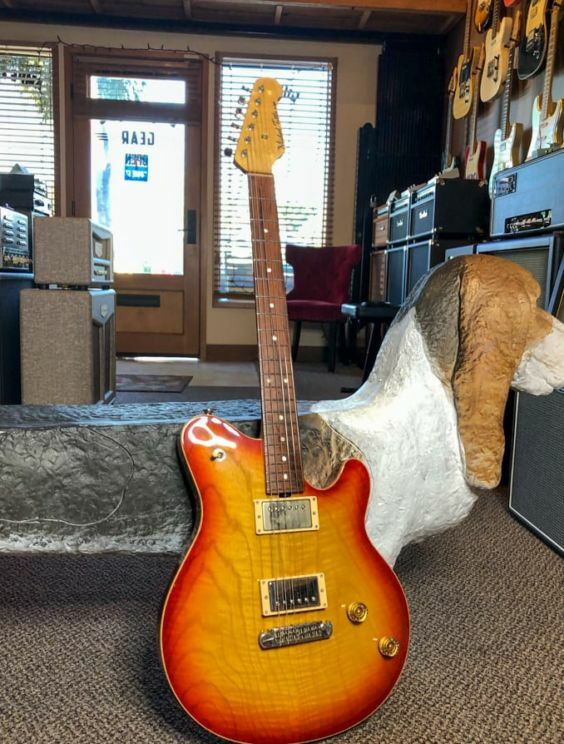 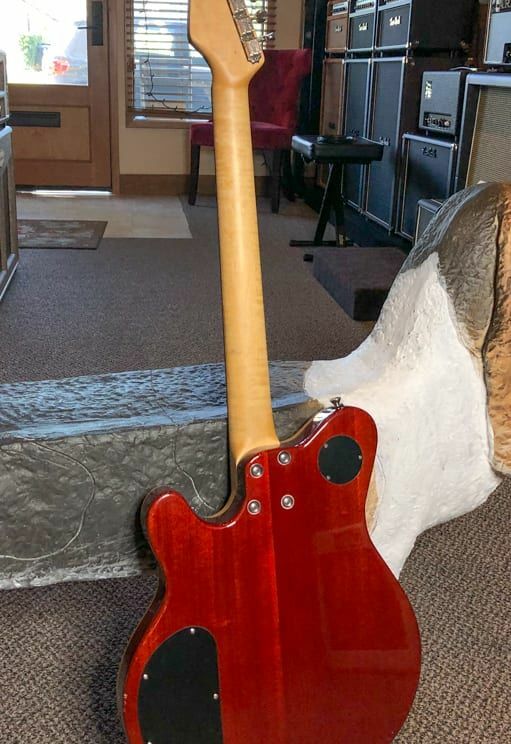 That “separation space” (no glue to bind) seems, at least to me, gives this bolt-on model more tone range-especially on the high end than the set neck. 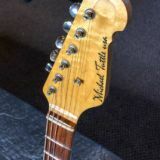 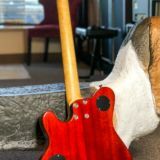 Individual notes played seem to shine a little brighter and sound clearer making this guitar more of a lead instrument when the player needs to accentuate notes in a riff or a far down the neck solo. 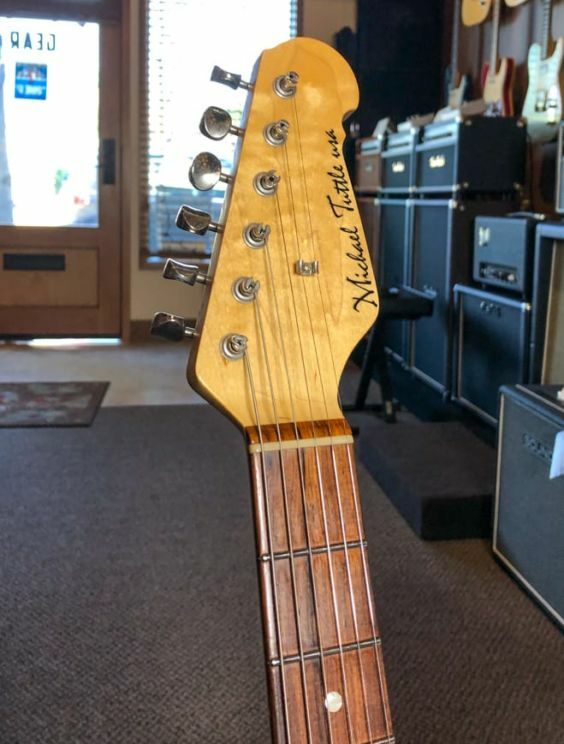 As with every Michael Tuttle guitar, its construction is perfect, and its fretwork is beyond perfection. 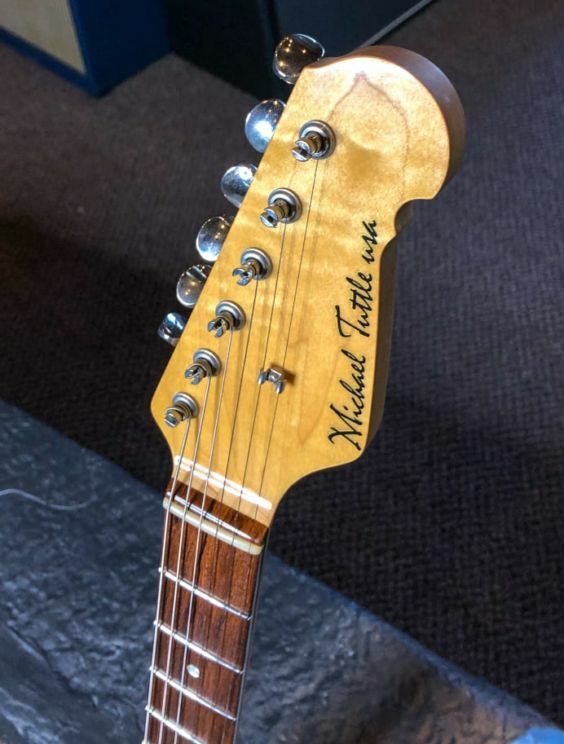 No builder does a better job of fretting a guitar than Michael. 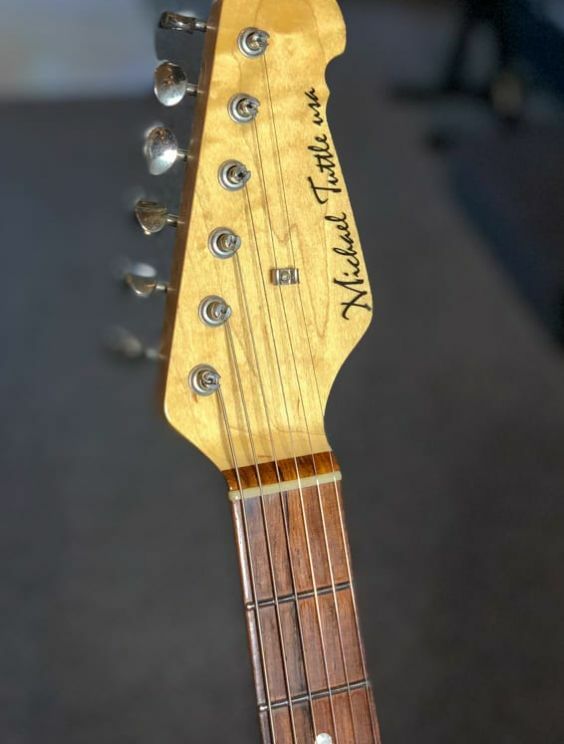 As soon as you touch the fretboard on Michael’s guitars, your fingers relax, and you move them up and down just enjoying the feel of them. 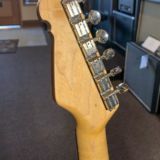 And then you play. 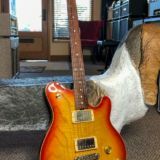 Songs you have played a hundred times come out sounding clearer and more fluid because your finger tips are firmly making contact with string, fret, and fretboard.